My Auto-Immune Hepatitis journey started in May 2010 at the age of 14 when I was diagnosed with Liver failure after experiencing very few symptoms. I was rushed to my local hospital where I was told that I will be transferred to Rays of Sunshine Ward in Kings College Hospital, which is the largest paediatric liver ward in the world. I was there for three and a half months before I was put on the top of the transplant list and had my liver transplant two days later, on the 21st July 2010. During my time at Kings College Hospital, I was also diagnosed with Ulcerative Colitis, High Blood Pressure and Iron Deficiency Anemia. Later on during the years, I was diagnosed with Irritable Bowel Syndrome, Osteoporosis and Depression. Being in hospital for nearly four months completely shaped me. I was completely fine before going into hospital so as you could imagine, my life was turned upside down from the minute I was rushed to hospital after passing out on my sisters back at home. I had to get used to taking over twenty tablets a day, having constant blood tests, x-rays, CT scans, MRI scans, ultrasound scans and many more procedures that comes with AIH. Because I was only 14 at the time, coming out of hospital and accepting that I couldn’t be like my other friends was difficult for me. For a few years after the transplant, I just couldn’t accept that I wasn’t able to drink, smoke, be in certain locations and participate in certain activities, and do normal ‘teenager’ stuff. I struggled and rebelled with my own self. Over the years, I became suicidal , fell into a deep depressive state and was later diagnosed with depression. Now, at 22, it’s still quite hard to get myself and people around me to understand that although I may look perfectly fine, I’m not on the inside so I cannot necessarily do all the things that they can do. My health is my life and I treasure that to the fullest now. I still have my many moments where I have my mental relapses, or I get rushed to hospital because one of my many health conditions is deteriorating once again and it does still knock me back a step or two. I also still have to take numerous amounts of medications and still do suffer with many symptoms which also sets me back with some daily activities. Despite all that I’ve been through, I managed to go right back to secondary school after my liver transplant, I then went to College and completed University thereafter. I released my first song and I am now an author, entrepreneur, blogger and I have a YouTube channel where I will post videos relating to my health, my book, and my lifestyle/vlogging. I am also a youth mentor for young people who are pre or post liver transplant, have a liver disease and may be struggling with ill health. I am also making plans to start my own foundation where I can help children and adolescents achieve the educational/life aspirations through donations. I try my best not to allow my health to define me because as debilitating as it can be, I try not to let it stop me from achieving my life plans and goals. 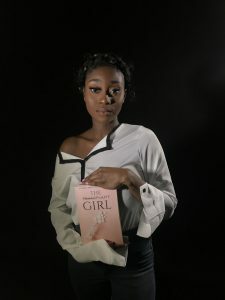 For my 8th year liver transplant anniversary, on the 21st July, I will be publishing my book ‘The Transplant Girl’, to inspire many young people battling ill-health and to spread more awareness about AIH, the dangers of it, ways to overcome ill-health and advice to seek help when you are struggling mentally and/or physically. Not only that, but to be the brave face for many sufferers who may be scared, shy or even embarrassed to share their story because they feel like they may not be ‘accepted’ or people may look at them differently. I’m here to say that it’s okay to share your story and you can overcome every obstacle you face with your health because it does not define you. You can be whatever you want to be if you work hard and try not to allow your health to dictate to you who you should be!